Do I have a claim if I Slip and Fall on snow or ice? It’s one of the most common questions that I get as a Pennsylvania Slip and Fall Lawyer. The answer is, it depends, but you should photograph the condion that caused you to fall, report it to the property or store owner immediately and then seek legal advice. It can be difficult to win a Slip and Fall case that involves a fall that happened during or shortly after a snow or ice storm. 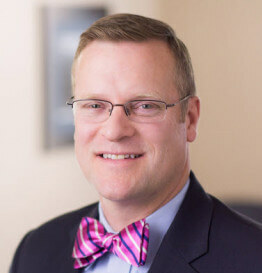 This is because winning a Personal Injury Case in Pennsylvania requires proof that someone was Negligent or Careless and caused the accident. Property Owners or Tenants have a responsibility to keep their properties reasonably safe, especially if the property is used for public or business purposes. Nevertheless, the law recognizes that Winter storms present challenges. Sidewalks and parking lots cannot be kept free of Slip and Fall hazards at all times. When snow or ice is falling, it’s impossible to remove it immediately and continuously. The law requires Property Owners or Tenants to use reasonable care and make the property safe after the storm. 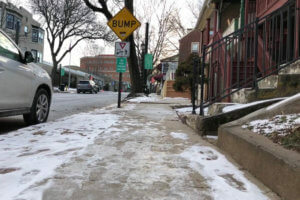 If there is an unreasonable delay and the snow or ice is left untreated and forms “Hills and Ridges” that cause a Slip and Fall, then legal liability for injuries will exist. For Slip and Falls occurring at a time other than a Snow or Ice Storm, liability is easier to prove. Again the Property Owner or Tenant in possession of the property has a duty to use reasonable care to keep the property safe. Everyone knows that, after a snow or ice storm, melting and refreezing occur which can create dangers ice patches that are Slip and Fall hazards. 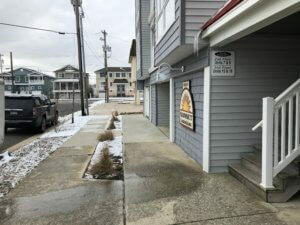 The person in control of the property is obligated to use reasonable care to treat those patches with salt, sand or calcium chloride to try to make them safe to walk on. If you Slip and Fall and are injured on ice from melting and refreezing, then you may have a valid legal claim for compensation for your injuries. A Property Owner or Tenant in possession can uses several Defenses to try to avoid liability for a Slip and Fall Claim. First, if the claim involves a Snow or Ice Storm, it can argue that was not Negligent because it used reasonable care to clear the property. After storms, Slip and Fall cases can be defended by arguing that reasonable care was used to inspect the property, shovel snow and ice and diligently treat ice patches. Other Slip and Fall Defenses include Assumption of the Risk and Comparative Negligence. The Assumption of the Risk Defense can be used if the injured person admits that he/she saw the ice or snow and yet voluntarily chose to walk through it. In such a case, the Defense can argue that the person knew about the danger and assumed the risk of falling so no legal claim can be made. If successful, the Assumption of the Risk Defense eliminates all liability. Another Defense is Comparative Negligence. This defense is used if the injured person does not admit to seeing the condition ahead of time. Comparative Negligence is a Defense that asserts that the injured party was careless for not seeing the condition and/or not walking carefully to avoid slipping and falling. If successful, the Comparative Negligence Defense can eliminate liability altogether or simply reduce the recovery of the injured Slip and Fall victim. If the victim is found Comparatively Negligent and More that’s 50% responsible for causing the fall, then liability is eliminated entirely. However, if the Comparative Negligence is less than 50% then the amount reduces the victim’s recovery proportionally. For example, if the Jury finds that the Property Owner was 80% Negligent and the victim was 20% Comparativley Negligent, then any compensation awarded to the victim would be reduced by 20%.